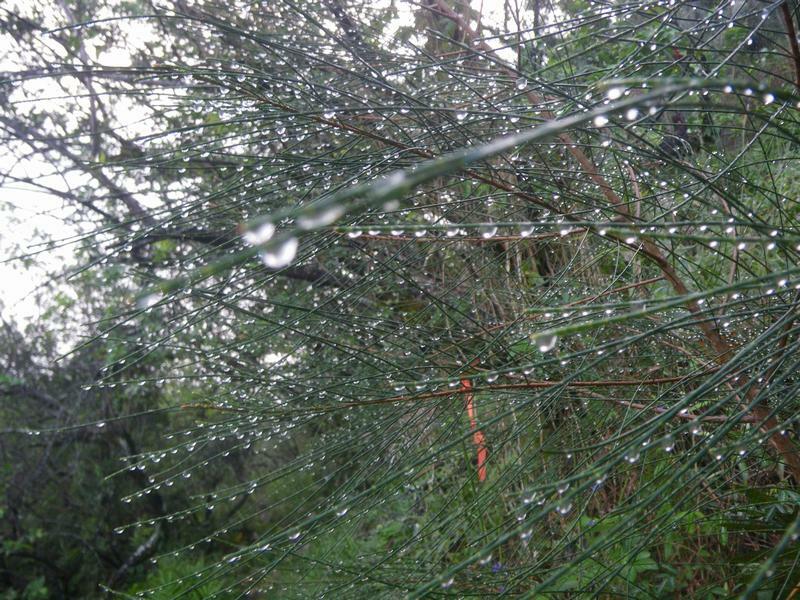 I rained last night and there were lots of water drops on all the vegetation. I tried to catch them as the sparkled in the early morning light. After about 20 minutes on the trail you come to this section w/many shallow caves. You know I've never stopped to explore them, but I'm sure nothing of interest is in them as this trail has been hiked for over a 100 years when you think back to the sugar workers who maintained the ditch/tunnel system.